You can't get more fashion classic than a floral tea dress. The Louche Cathleen retro dress from Joy is a contemporary interpretation of the look that has plenty of vintage charm. 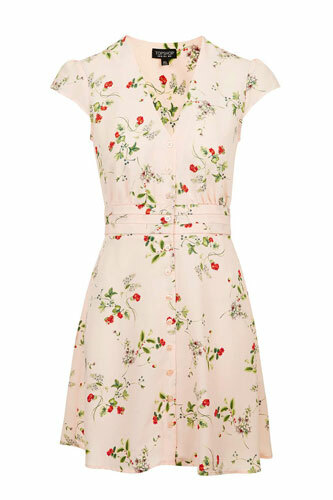 They describe it as a prom dress, but we think this 1940s-style floral dress from Trollied Dolly has got more of a tea dress look, and will look just as good on many other non-prom occasions. This looks to be new in, with the Jolie Moi pattern printed tea dress available in two colour (or pattern) options. Lowie's Wool Tea Dress is that rare piece of clothing which will enable you to pull off looking chic and being warm and comfortable at the same time.